If you’re thinking of enhancing your home’s interior this summer, we at Tedrick’s Roofing suggest investing in a skylight. Skylights are going to be a beautiful addition to your kitchen, bedroom or living room as it can make any room brighter. Furthermore, skylights can also help lower your energy costs, as you’ll be taking advantage of the sun to brighten up your home. As with any other products, you should always consider the quality of the skylight you’re going to pay for. 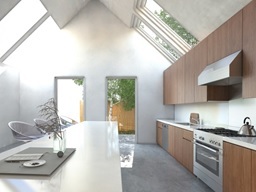 There are high-quality skylights made from sustainable materials available in the market today; and choosing quality products means it’ll be more durable and longer lasting. Aside from it being more durable and long lasting, choosing a high-quality skylight means it’s going to be more energy-efficient. This will not only make your living room brighter this summer season, it will also help in reducing your energy bills. The weather can significantly affect your skylight installation project. That’s because if the weather becomes too wet, it can seriously hold back the project. Make sure that the weather will be clear before starting with the project. Leaks can be a big problem if your skylight is not properly waterproofed. Make sure that the flashing and the seal around the skylight is installed properly and no moisture will be able seep through it. When it comes to skylight products and installation, you should always seek the help of a professional like Tedrick’s Roofing. You can choose from our wide array of skylight style, which include: Fixed Skylights, Remote Control Tilting Skylights, Ventilating Skylights, Solar Tube Tubular Skylights. All these can be installed in residential and commercial roofing in Auburn, Federal Way, Des Moines, Seattle, and Tacoma. Just give us call if you want to know more about our products and services. Choose Tedrick’s Roofing and enjoy the benefits of having quality skylights today!